After walking the cross country course Saturday, the sky opened up and it poured. And poured. And poured. Luckily this provided excellent opportunity to huddle in Foster’s stall, do a bit of braiding, mentally run through my test, and try not to think about what was happening to the footing all through the deluge. No dressage photos, so look at us in our snazzy new colors! Needless to say, it was still very very wet Sunday morning. The dressage warm-up quickly turned to slop, which my poor pony is not so used to working in. I attribute his being slightly stiff in his neck because of this, as he attempted to pick his way through the mud and muck. Still, I was happy with the test he put in, and I was pretty confident it would score in the low 30’s. The test earned us a 31.7, good for 5th place. Looking at the test, I’m pleased with the number of 8’s on there, and it appears we were off to a pretty good start. 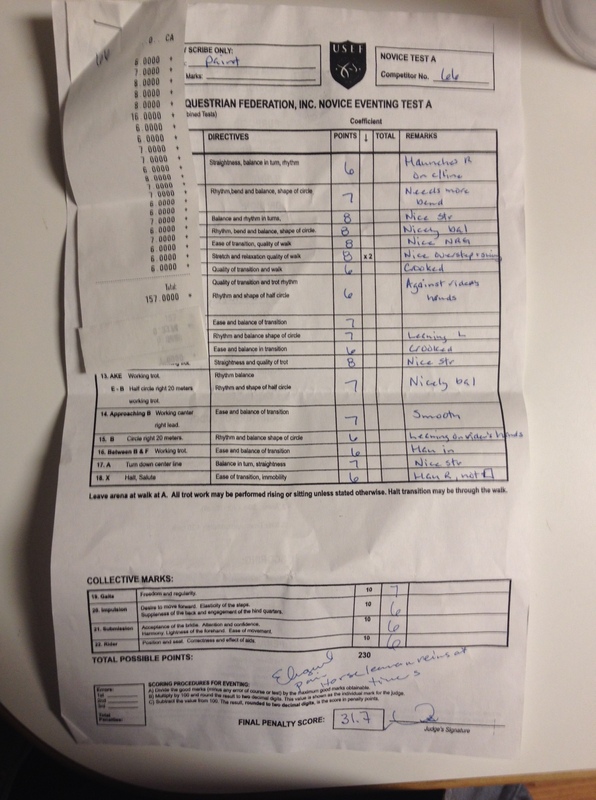 I am, however, a little bummed with how the test finished, and I didn’t feel some of the things the judge remarked on. Similarly, I wish I could have seen my ride, so I could understand why our overall scores dropped so much from the last show just a couple weeks ago. So we’ll be chalking it up to experience and trying to improve even more for the next outing. Because of the slop, I was a little worried about how showjumping would go. Foster looked just a hair too relaxed hanging out in his stall, and I knew he would need some extra oomph to push out of the steadily deteriorating footing. I gave myself about 15 minutes of warm up, starting by trying to get him really moving forward (kind of successful), before hopping over a couple fences. He was a bit sticky to the fences, but I decided to take the risk of not jumping further in order to save our energy for the fences that would count. I’ll say this in regards to our round- thank goodness you don’t get pretty points in eventing. 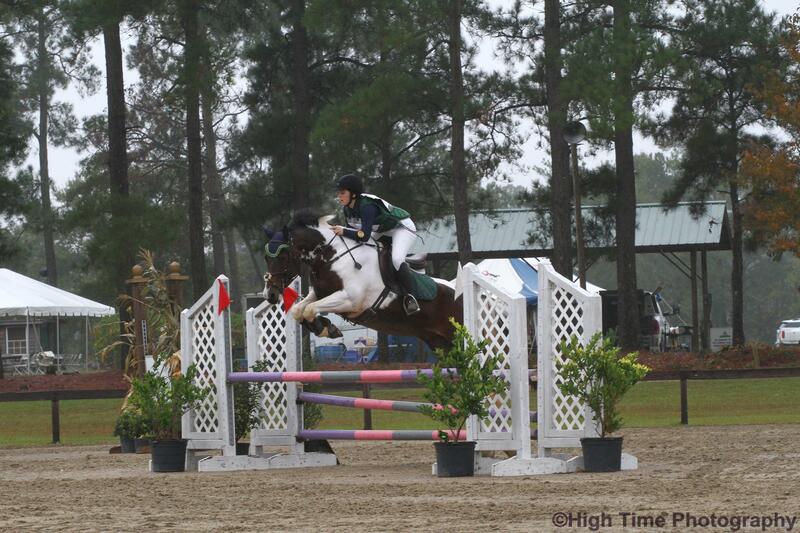 He jumped me out of the tack over fence 7, which I got him a little unprepared to and he made a huge effort over. 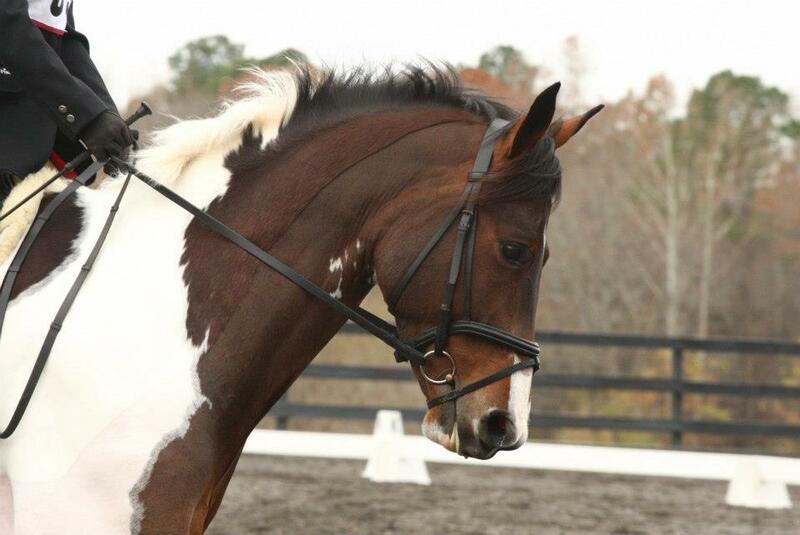 He didn’t pick up the correct leads 100% of the time, and once I brought him back to a trot to switch leads. Because of this, I think, we got 1 time fault, but went otherwise clear through a course that was definitely taking names. I saw 1 fall, and 2 refusals just while I was waiting- an unusual pattern for these lower levels. 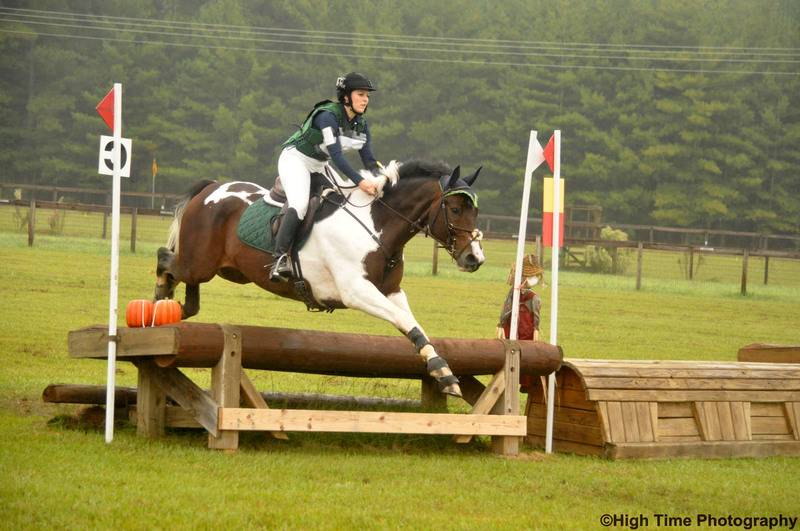 When I got to cross country, I was more than a little worried about the footing on course. Foster does not have studs, and though the sandy footing holds up pretty well, I still wondered about jumping these large fences like #3 right from the start. Combine that with watching 2 different horses have refusals at that fence, and thought I was going to puke. But a quick hop over the couple cross country warm-up fences and Foster perked up substantially, and I decided to give it a go. I won’t rehash the entire experience, when you can watch the helmet cam! Obviously the course ran pretty well. Other than getting in deep to 8A, we got all our spots and while being forward, Foster was adjustable and able to come back to me when I needed to rebalance him, such as down the hill and through some turns. We came in right under time because of my more conservative ride. Overall, we finished 4th out of a field of 15 or so horses. I am super happy with how the day went, and again, know there are things to improve which is a great place to be. It was a great relief to finally conquer the trakehner and brush that have been worrying me all year. We’re still waiting to break into the 20s for dressage, but between this and the last show I feel like Foster can confidently be described as a solid Novice horse. I’m thankful for the opportunity to put in another confidence-giving run, and look forward to our last show of the season, next month! Sounds like a rough day! You must be so happy with how Foster stepped up under those wet conditions! 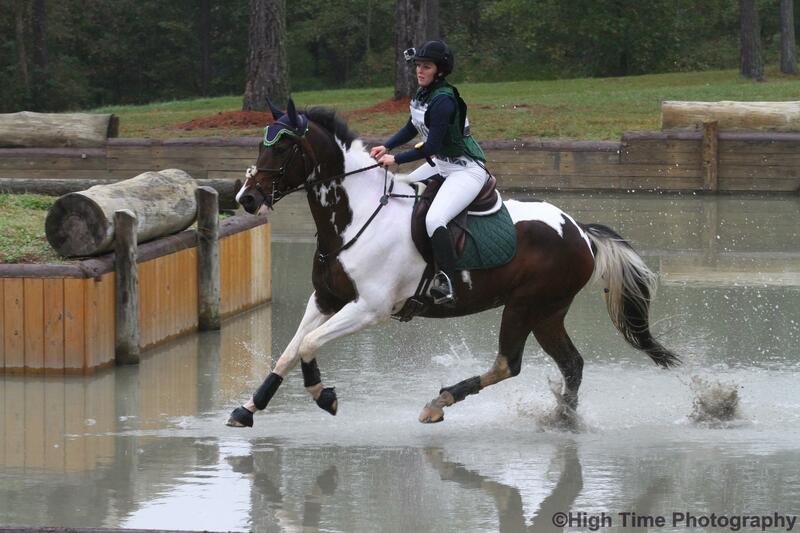 Horses who can keep their confidence in the mud are worth their weight in gold, right?! Congrats! I amazed y’all got around so well in the slop. That would have undone me. It seriously almost undid me. I can’t remember the last time I’ve been that nauseated before cross country- I think if he hadn’t warmed up so well over the cross country fences out there, I would have scratched. American cross country courses are just beautiful! Congratulations on the 4th, having room to improve is definitely a good place to be! Your colours look great on Foster, too! 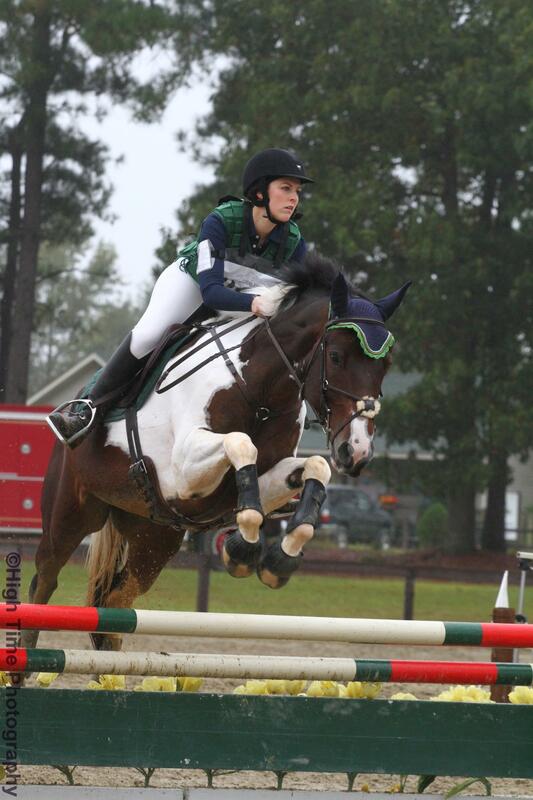 We’re so lucky in that the Carolina Horse Park is a wonderful facility with really quality fences! Where do you hail from, then? Thank you! I have not shown in the slop in a long, long, time (been lucky I guess! ), so it was pretty surprising to me to see how much the footing was affecting the other horses! You rocked it girl!!! Looks like so much fun, can’t wait to get back to some events next year. I love the cross-country helmet cam videos — those are my favorite!! I love them too! There’s a bit of a kurfuffle going on regarding wearing them as of today, so I hope I can continue wearing it in the future! Hey, I’m new here but I hear about your blog and stopped by and followed. Good job and congratulations on your finish, despite the less than ideal footing. Cross country helmets cams are so cool, especially since I someday want to event even though I do dressage now. Welcome! And thank you! There’s a movement right now at a 3* and across the pond in Britain to prevent riders from wearing helmet cams.. Hopefully I will be able to wear it again!